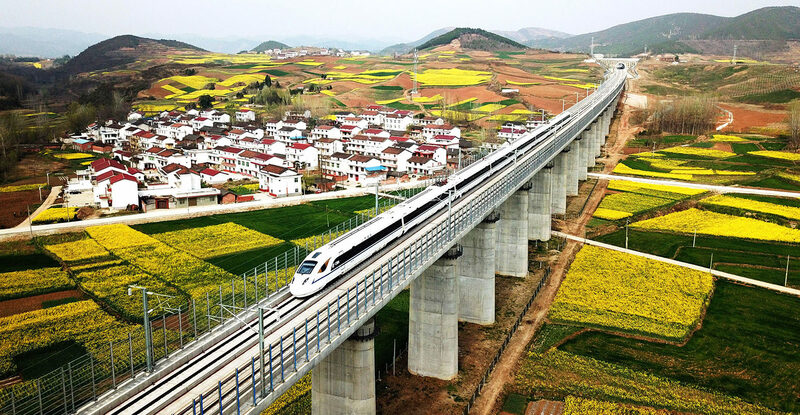 A bullet train runs on the Xi'an-Chengdu high-speed railway line in Shaanxi Province, China. Credit: Xinhua / Alamy Stock Photo. Global transport emissions could peak in the 2030s if railways are “aggressively” expanded, says the International Energy Agency (IEA). It also acts as an “oil saver”, the IEA says. If all services performed by railways were instead carried by planes, cars and trucks, transport-related greenhouse gas (GHG) emissions would be 1.2bn tonnes of CO2-equivalent (GtCO2e) per year higher, the report says. This is equivalent to the CO2 emissions of the whole of Africa. Emissions | February 2. 2017. Emissions | July 7. 2014. Emissions | October 10. 2014. Emissions | July 7. 2018. Emissions | July 7. 2017.